Today Texas Instruments published a press release to announce partners 6 company had worked to design and manufactures systems-on-module based on the dual core Cortex A15 OMAP 5 SoC and that those would be on display at Electronica Trade Faire this week (13-16 October) in Munich. This solution is actually a Pico-ITX board based on OMAP5430 with 2 GB LP-DDR2, USB 3.0 SuperSpeed connectivity (1x USB 3.0, 3x USB 2.0), up to 16 GB eMMC storage, a SATA port, a 100Mb Ethernet port , UART, RS-323 & SPI ports, GPIOs, DVI and LVDS outputs, a serial camera input port, a micro SD card socket, Murata WiLink 8.0 connectivity solution (Wi-Fi, GNSS, Bluetooth®, Bluetooth v4.0 and FM technologies) and a built-in battery charger (1-cell Li-Ion). The company provides Linux and Android 4.1 BSP. Check the product page for a few more details. 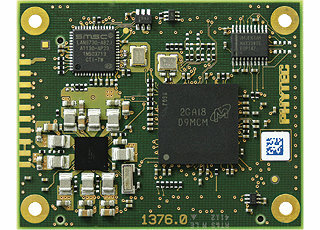 GK-5432 is a computer on module based on TI OMAP 5432 SoC following the new ULP COM standard. The module supports up 4GB RAM, 8GB Flash, Ethernet, Wi-Fi and Bluetooth connectivity, up to 20MP cameras and more. This CoM appears to be in early development as hardware and software is currently not available, but the module will eventually support Windows RT, and TI Generic Linux SDK for OMAP processors and TI Android BSP will be provided. There’s some more information on TI website. 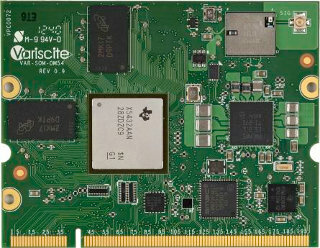 The phyCORE-OMAP5430 System on Module (SOM) is powered by TI OMAP5430, supports up to 4 GB LPDDR2 RAM and up to 64 GB eMMC, and comes with 2x SDIO/MMC, 10/100 Mbit/s Ethernet, one USB 3.0 SuperSpeed Dual-Role-Device (DRD), one USB 2.0 High-Speed Host, 4 UARTS, one Display Serial Interface (DSI), one Display Parallel Interface and one HDMI port. The module can operate at temperatures between -40°C and +85°C, and measures 55 x 45 mm. phyCore-OMAP5430 will support Linux, Windows Embedded Compact 7, Windows RT and Android operating systems. You can get more information on Phytec phyCORE-OMAP5430 SoM page. Seco μQ7-OMAP5 is a micro Q7 module (40×70 mm ) based on OMAP5430 @ 1.7 GHz with up to 2GB LPDDR2 PoP and eMMC memory. It supports up to 3 independent displays via HDMI, LVDS and DSI interfaces. Other interfaces and features include SATA, 2 x SD/SDIO/MMC 4-bit interfaces, 1x USB OTG LS/FS/HS/SS (USB 3.0), 2x USB 2.0 host, 10/100Mbps Ethernet interface, WiFi 802.11 b/g/n, Bluetooth 2.1, I2S / AC’97 Audio Interface, 2 x serial ports, 1 x CAN Bus port, a camera interface (serial/parallel), SPI, 2x I2C bus, 3x PWM Channels, 1x Capture input and GPIOs. Check out Seco μQ7-OMAP5 page for further details. VAR-SOM-OM54 modules are based on Texas Instruments OMAP5432 @ 1.7Ghz with 512 to 2048 MB 1066MHz DDR3L memory, eMMC internal storage, 24-bit LCD & HDMI display interfaces, 4-wire touch screen panel interface, several audio interfaces (Line-in, S/PDIF out…), 10/100 Mbps Ethernet controller, Wi-Fi 802.11 b/g/n & Bluetooth V4.0 + EDR connectivity, 2x USB 2.0 Host ports and 1x USB 2.0 OTG port, 3 SD/MMC/SDIO interfaces, 2x CSI & 1x CPI camera interfaces and several serial interfaces (McBSP, SPI, I2C…). The company is said to provide BSPs for Linux 3.1, Android 4.0.3 and Ubuntu 12.04 (Kernel 3.2). This module comes in a SODIMM 200 form factor (51mm x 67.8mm x 3.7mm), and can be purchased for commercial (0°C – 70°C), extended (-25°C – 70°C) and industrial (-40°C – 80°C) temperature ranges. Further information (including a block diagram) is available on Variscite VAR-SOM-OM54 page. Those 6 modules should be available in Q1 & Q2 2013.